Reverse image search can be very useful in many situations. Using reverse image search facility, you can input any image and can find related images on the internet. 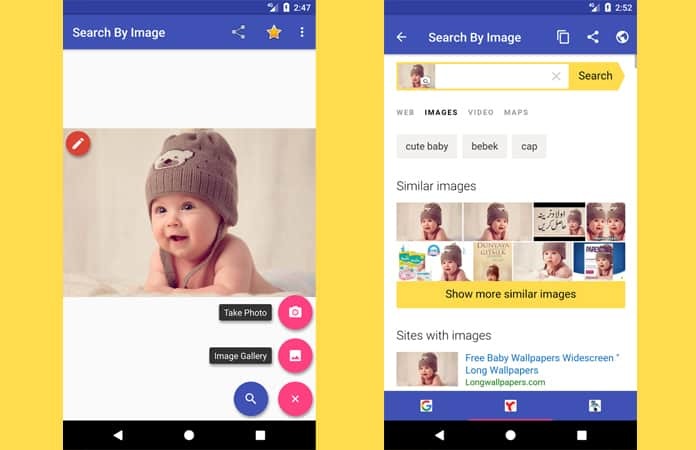 Although search engines are ready for reverse image searches, but if you have to search again and again, then many apps are more proficient and useful. Your iPhone and Android phones allow you to use reverse image search apps. Such apps can find all related results according to your given image and you can easily save them in your mobile. 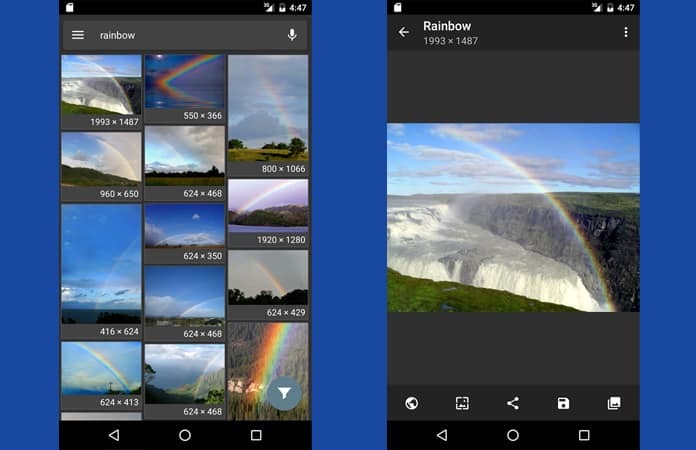 Below is a list of the best reverse image search apps for iPhone and Android. This is the best reverse image search app so far and widely used all over the world. It fulfills the needs of thousands of users on a daily basis. Suppose you have images which you take with your built-in mobile camera or get from other sources. Now you want to collect complete information and related pictures, then you just have to upload that photo to CamFind servers. 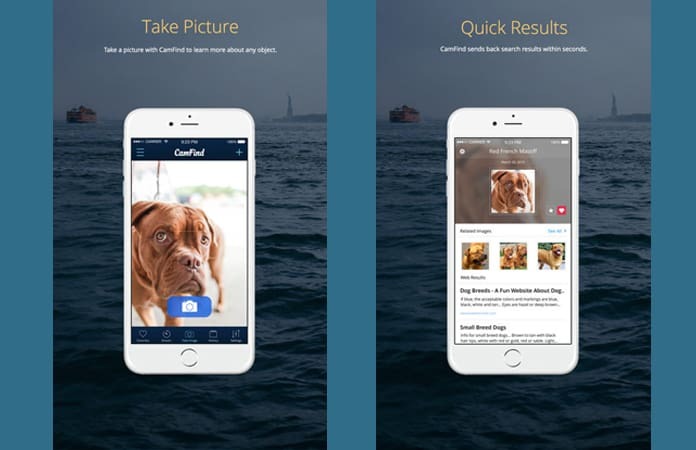 After this process, this app will use its Cloud Sight image recognition API to provide you every single detail about that image and also will provide all related similar images. This app allows Favorite option which can help you to search particular image again in future. As this App find complete information about any image object, so you can find movies data using their posters images, get complete information about any unknown place using just an image or can attain data about anything else which is exactly according to your requirements. With this app, you have complete privacy and can set different options according to your demands. It is a right app for reverse image searches. You can easily install it on your Android mobile. This app searches all similar images from Google search engine and also from TinEye which makes this app prominent. You can use any old or new image for reverse searching and can get a lot of fantastic and informative outputs. This app has options to crop, resize or flip the images which can allow focus on certain objects. It’s attractive and comfortable user interface makes it preferable and more reliable among other such apps. So, you can download and install the Search by Image App right now for free. It is one the most used app by the users for reverse image search purposes. It can be installed on Android mobiles and provide a friendly mechanism. It is based on Google particular design interface and uses Google results to output all required results. You can see all results in its own interface rather than visiting any other page or engine. Till now, this app has thousands of satisfied users and this number is increasing every day. Its best feature is that you can set and filter images by their type, size and uploaded time. It will give you the right desired results within no time. After getting results, you can use them for any purpose and can also share all searched images using social media. So, it is a right choice to search all corresponding photos without any limit every day. There aren’t as many reverse image search apps on iOS as there are on Android. 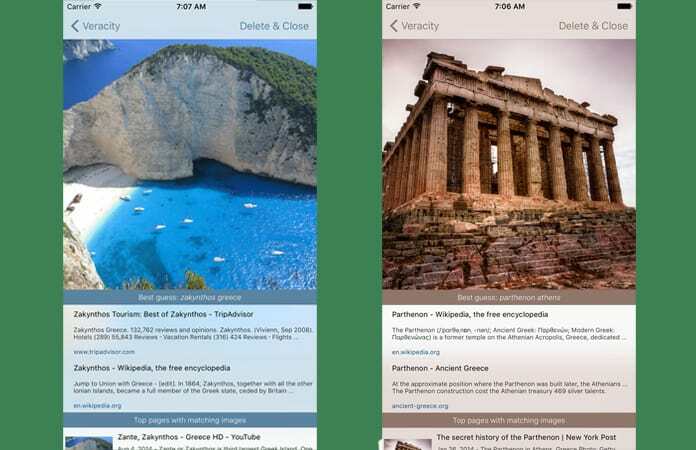 Veracity is one of the most popular apps, and with this app, you can perform a reverse image search on any image, otherwise known as “search by image. Veracity doesn’t support sharing from within other apps, so you must do the job manually and launch it every time you want to reverse search an image. 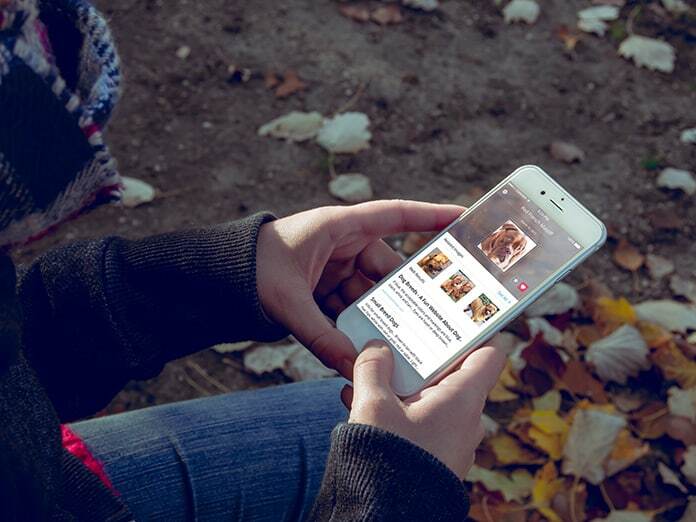 With this app, you can find out what the subject of a photo is and to discover where else on the web the same photo exists, even it if has been cropped or edited. You can download this app for free and it is compatible with iPhone, iPad and iPod touch. Reversee app is explained like a middleman between your pictures and Google Images, which allows you to perform a reverse image search. 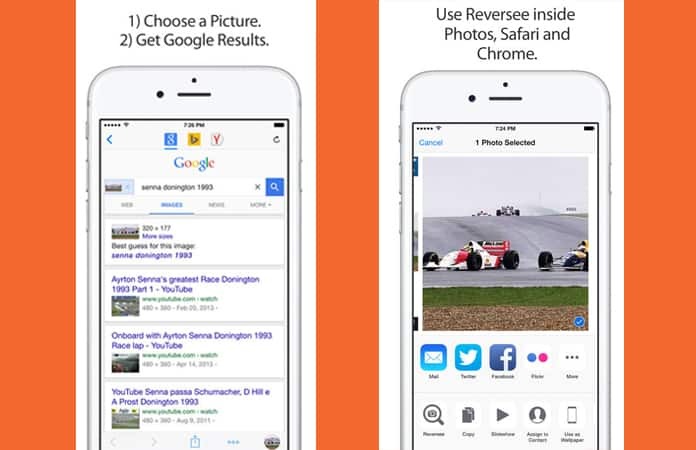 Although the Reversee app allows you to search for pictures, it doesn’t promise you will get results because the actual search is made by third-party engines, and even if they are the best in the business, none of them cover 100% of the searches. With this app you can crop or rotate the picture, you can change the resolution of the image sent to the search engine and you can save pictures from the web. You can download Reversee app from App Store for free and it is compatible with iPhone, iPad, and iPod touch. The choice for reverse image search apps on iOS and Android is relatively limited, but don’t worry because we’ve still got the best options, as you can see from the list above. So go ahead, try some of the reverse image search apps and share your comments in the section below.